The number of cards compromised at US ATMs and merchants rose 39% in the 1H 2017 vs. the year-earlier period according to FICO. The firm also tracked a 21% rise in compromises of ATMs and point-of-sale (POS) devices in the US in the 1H 2017 vs. the same period in 2016. This report highlights an intensifying problem for consumers, business customers and for community banks. Consider that the number of compromises is on track to set a new high for the FICO(R) Card Alert Service, which monitors hundreds of thousands of ATMs and other readers in the US, according to the company. Certainly debit card use is growing in popularity. About 44% of Americans say they primarily use debit cards for everyday purchases, like groceries and gas, according to an online survey conducted by Harris Poll. Not surprisingly, younger Americans seem to prefer debit over credit. Among consumers aged 18-24, 47% cite debit cards as their preferred form of payment, according to a 2016 survey by payment processor Total System Services. But customers of all ages don't always realize the risks debit cards carry. Banks may want to step up education to customers about the rising incidents of debit card fraud and how to protect against it. Doing so will help to keep your customers and bank more secure. One way to reach customers is to share real-life stories of victims so people can relate. Just recently, we read of a woman in Little Rock, AR, whose debit card was counterfeited by thieves for use on a $1,600 shopping spree. The woman will get her money back eventually but in the meantime has to deal with unnecessary hassles. These types of stories will likely resonate with customers. Banks should also consider creative, eye-catching campaigns to alert customers about the most risky places to use debit cards. For instance, swiping a debit card at an outdoor ATM is considered risky business given the higher possibility of skimming. For the same reason, gas stations are also a higher risk place to use debit cards. Customers should also avoid using debit cards at restaurants and for online purchases, because of the greater possibilities of fraud. To help prevent fraud, banks could also consider making customers wait for replacement debit cards to arrive in the mail. Chase recently took this step after the bank reportedly noted an uptick in the number of people using fake IDs to obtain instant-issue debit cards. This does have an impact on customer convenience though. In addition, instant issuance is a growing trend. Aite Group estimates that 1.8% of the credit and debit cards in circulation today have been instantly issued and that 2.7% of credit and debit cards will be issued in a branch by 2021. However, fraud is a real concern, so banks looking to roll out instant-issue programs should be extra diligent and careful. 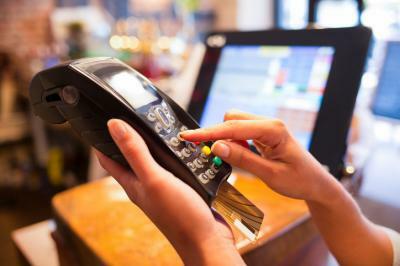 Debit card fraud will continue to be a nettlesome issue, even with EMV. As such, banks need to be proactive to help customers avoid getting ensnared in traps set by bad actors. Communication with your customers is the key. Also, given the technology today, there are many ways to reach out to keep everyone up-to-date and safer, much more quickly too. Yields landed unchanged as investors sorted through the latest economic data. PwC's Digital Banking Survey finds 46% of consumers now interact with their bank using digital channels only vs. 27% who did so 5Ys ago. Boston Fed President Rosengren said there will need to be a rate hike in Dec and 3 to 4 more in 2018, given continued decreasing unemployment and slowly rising inflation. First Data reported that 82% of millennials reuse passwords while only 70% of baby boomers reuse them. This same study also found baby boomers were more likely than the younger generations to understand cybersecurity and follow cybersecurity best practices. Teach your customers to help protect your bank. A TD survey of small businesses with <$1mm in annual revenue finds almost 67% are based out of their homes. Research by the EBRI finds 60% of Americans say they feel confident they will be able to afford a comfortable retirement vs. 73% who said so back in 1993. According to a Gallup poll, 45% of Americans think there is too much government regulation of business, 23% believe there is too little and 29% say that it is about right. Stanford professor John Taylor, who authored a monetary policy rule himself, believes the Fed should follow a monetary policy rule when setting its policy. This is currently being considered by Congress. Professor Taylor is also being considered for Fed Chair by President Trump. A survey of MBA programs at schools by the Graduate Management Admission Council finds business schools received 3.2% fewer applications this year than last and applications from international students declined 5.8%. The decline marks the 3rd year in a row.